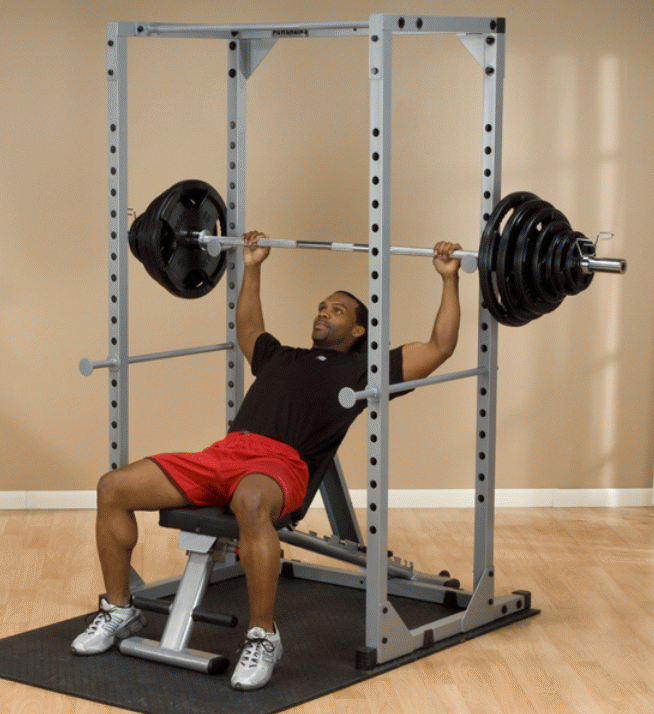 … on one of the first inventions that allowed weightlifters to workout safely and effectively, the Power Rack! The Power Rack gained prominence in the 1960′s, when strength-trainers and athletes achieved huge gains using limited-range movements. The safety spotters permit heavy training weights while working out in complete safety. The PPR200x also provides a solid, stable chin-up bar for body-weight training or as a secure attachment point for suspension training. Nearly every gym has one … so why not you? With the wide “walk-in” design there is plenty of side-to-side movement for a variety of exercises such as squats, incline, decline, flat and military presses as well as shrugs and calf raises. Chinning/Pullup bar included. Complete with 18 positions, two heat tempered lift-offs and two saber style safety rods so you can keep your exercise routine the way it should be simple and effective. And safe! Transform your Body-Solid Power Rack into a multi-workout machine with a Lat/Low-Row Attachment (PLA200X). Build a wider, beefier Back and/or stronger and bigger Biceps and Triceps. Features nylon coated, aircraft quality (2200 Lb. test) cables. Includes Lat Bar and Low Row Bar. 84″H when attached.